This book did totally not disappoint me after I had very high expectations of it. I had already seen the movie, which took away part of the surprise, but I still absolutely loved it. The book contains a lot of pages with creepy pictures, which are very cool and amazing to see. This makes the reading of it a lot more fun for me. Apparently the pictures are real pictures from collectors, Which makes the story very real. The whole concept of the story and the book is very interesting and different. The pictures help a lot with creating an image for all the characters in the book. The characters are very well explained and I really feel like I can understand them. 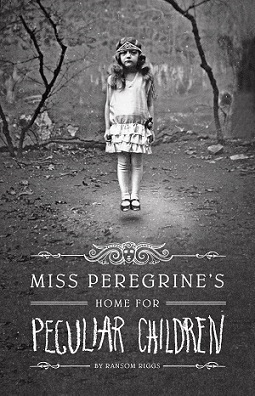 The peculiar children are easy to distinguish with the different peculiarities. The pace of the book was very nice, with no unnecessary stretching of certain chapters in the book. The beginning of the book can be a bit slow, because it takes some time before we get to the peculiar children. Allthough, it is an important part of the book, where we get some background information and things take place that will come back later. You just have to wait a little for the peculiar children. I gave this book 5/5 stars. This book is very different and a lot of fun to read.